As you probably know it rains quite a lot in Dublin or in Ireland in general. Is there a better way to escape the rain by going to the cinema to watch a movie in your comfy seats? 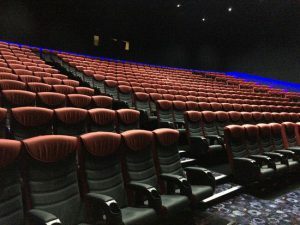 Dublin has plenty of cinemas scattered all around the city and in this list you find some of the best of them. Watch some of the newest blockbusters or some classics in these quality cinemas! Cineworld is the biggest cinema in Ireland with 17 screens. It also has an IMAX screen, basically a screen with a better resolution a it´s bigger in size. You can watch blockbusters and a huge range of movies there and enjoy the large selection of sweets and treats. Furthermore, they have their own bar on the second floor. Cineworld is located in Parnell Center at Parnell Street. Tickets are 9.60€ for students for normal screens and for IMAX screens 14.70€. They also have an unlimited option for 22.40€ where you can watch as many movies as you want during 1 month. You can find more information at https://www.cineworld.ie. 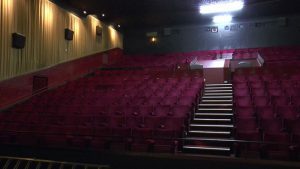 This modern and colourful cinema shows some amazing classic movies as well as blockbusters or new movies. They have 4 screens and some quality food out of their café. Of course you can also enjoy the classic cinema snacks or go for a drink in their own bar. You can find it at Market Square in Smithfield. Student tickets go from 6.50€ to 8€. Find more information at https://lighthousecinema.ie/. You can see blockbuster and the newest films in the Odeon. It has 6 screens in total and you can enjoy some classic cinema snacks while you watch your movie. It´s located at the Point Square at Point Village and you can find student tickets from 6€ to 10.50€. The Savoy is the oldest operating cinema in Dublin and still has a lot of old skool charm. Moreover, it hosts the most important film premieres in Ireland. 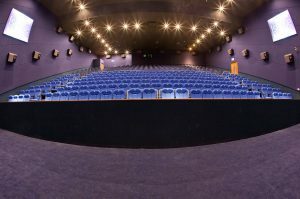 It has 9 screens where you can watch the newest films and blockbusters as well as operas or ballet on special occasions. They also serve classic cinema food. You can find the Savoy on O’Connell Street 17 and student tickets are 8.50€. The Irish Film Institute produces and supports Irish films, but also shows them in their cinema. You can watch independent, foreign and artwork movies here as well as blockbusters. They have 3 screens and a café bar with quality food and classic cinema food. They’re located at 6 Eustace Street in Temple Bar. The price for student tickets starts from 8€ to 9.50€. Visit their website at http://ifi.ie/ for further information. 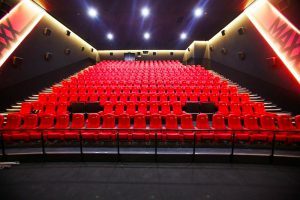 Omniplex is a cinema with 8 screens with an MAXX screen among them. They show blockbusters and the newest movies and offer some classic cinema food to go along with your chosen film. You can find them at 210 Rathmines Rd Lower in Rathmines and student tickets are 7.20€ or 10.20€ if you watch your film on a MAXX screen. 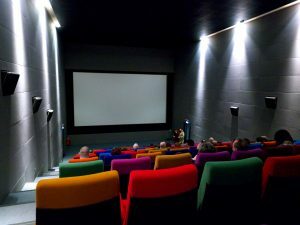 Have fun enjoying a movie in one of these cinemas in Dublin! !